Phoenix Beauty have appointed Capsule Communications to handle the UK communications for niche-fragrance brand KIERIN NYC. 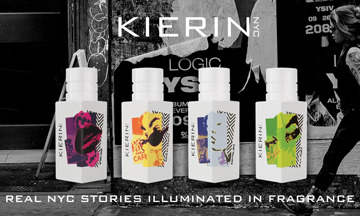 KIERIN NYC is the first fragrance brand to express a modern, urban lifestyle, celebrating real New York City stories of inspired individuals. KIERIN NYC invites people to be inspired, not defined or confined, by fragrance with premium eau de parfums that are cruelty-free, toxin-free, vegan, sustainably sourced and recyclable. The brand will launch into the UK in ASOS and Feel Unique from February 2019.